We are celebrating our 20th year here at Advanced Diesel Engineering, and this is an excellent time to look back at our achievements so far. 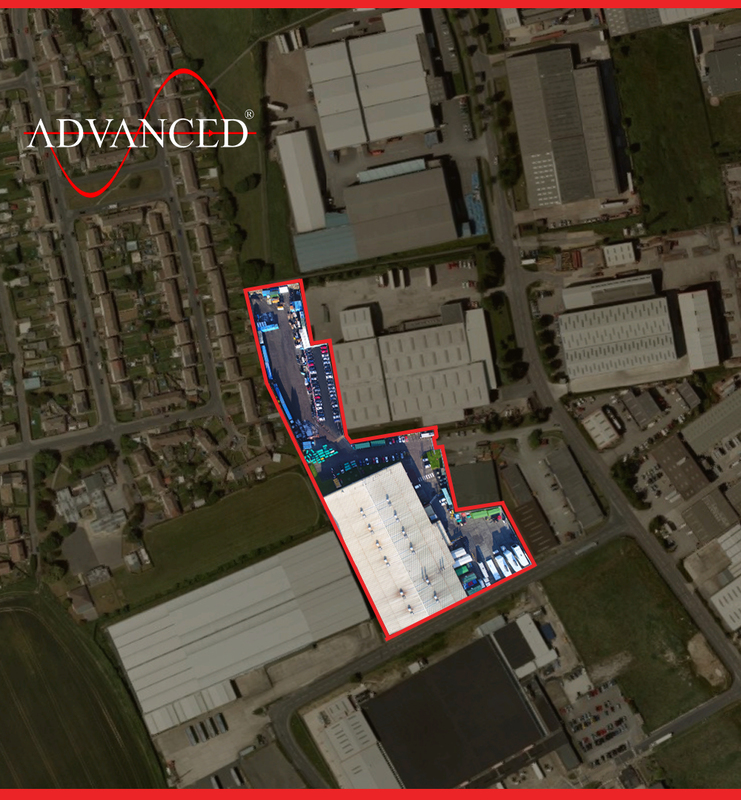 We’ve gone from strength-to-strength, and due to rapid expansion of generator sales and manufacturing in 2003, we purchased our own much larger building in West Yorkshire and transferred all operations to there. 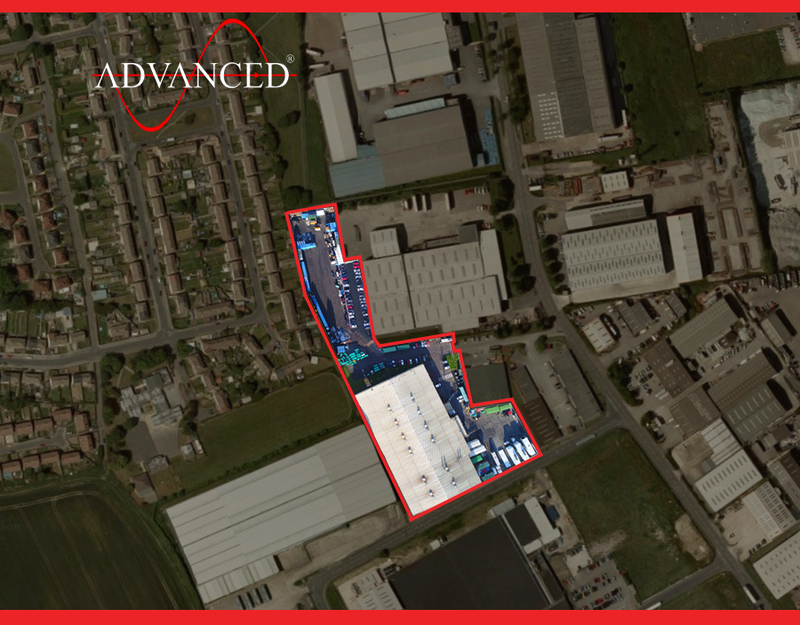 In 2014 we more than doubled the size of our premises to accommodate further expansion of the business. These extensive premises accommodate our head office, press, fabrication and welding facilities, together with paint spray, electrical installation and control shops. At this location we also house our generator stock as well as our internal and external test & inspection areas. We have supplied everything from small, canopied life safety gensets to primary and back-up power supplies. For some of the quietest, most reliable and most cost-efficient generators and accessories that are perfect for your back-up power needs, ask Advanced. Whether you require support for an office, residential development, or shopping centre; hospital, prison, bank, data centre, Advanced will support you. We are here for all of your industrial and commercial ambitions both here in the UK and overseas, catering for climates from Iceland to Algeria. We offer both off the shelf and custom engineered diesel generators, ancillary equipment, and complete end to end power supply solutions – from salt laden marine environments, to deserts, to Arctic ice fields – and anywhere in between. Since 2003 we have also produced Weatherproof and climate controlled modular housings for switchgear and pump manufacturers to meet their clients’ requirements. These housings are all designed in-house, and can easily be adapted to accommodate your plant needs at a fraction of the cost of a traditional building. With our large range of fuel and control system options, we can now provide you with a completely tailored supply and installation solution in a single package. 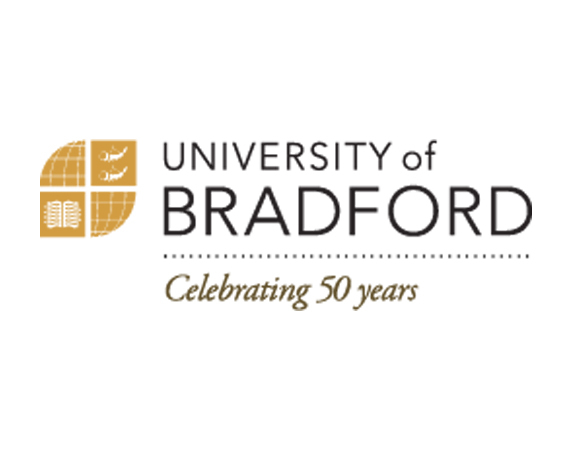 We are very excited about our ongoing innovation work with the University of Bradford, where we are making important breakthroughs in generator acoustics design, which in time will enhance our designs and benefit our clients. 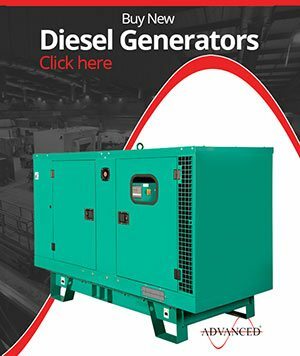 Our key diesel generator stock ranges from 10kVA to 3000kVA engines. We work closely with all large generator manufactures to meet your specific requirements, and are a leading specialist in bespoke acoustic enclosures for medium and high powered generator systems. The consistent, sustainable growth of the business is managed with great care, and our success has been a direct result of striving to meet customer expectations. This, of course, remains the core objective of our business. 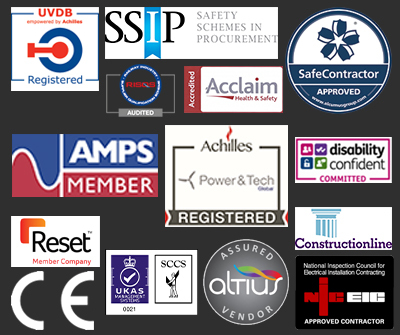 As such, we are approved members of a large number of assessment schemes including Safecontractor, Constructionline and Achilles, we are also accredited to ISO9001:2015 and BS EN 1090-2:2008 + A1:2011 CE Marking. We now have our sights set on being one of the first companies to gain accreditation to ISO45001:2018 by April 2018, and ISO14001:2015 by September 2018. So, we enter our 20th year of business Advanced are proud of the wide-range of products, services and sectors we are able to work with. In fact we have recently started to provide our products to the Nuclear, Oil and Gas Industries without compromising the great service we have always offered to our existing clientele, So however proud we may be of our past, we are constantly looking forward to the future. So don’t let those storms, power line maintenance or brownouts cut into your productivity or security if you need primary power for an off-grid location or for construction purposes. Then you want the most effective and reliable back-up and secondary power generators in the world, so just ask for Advanced!